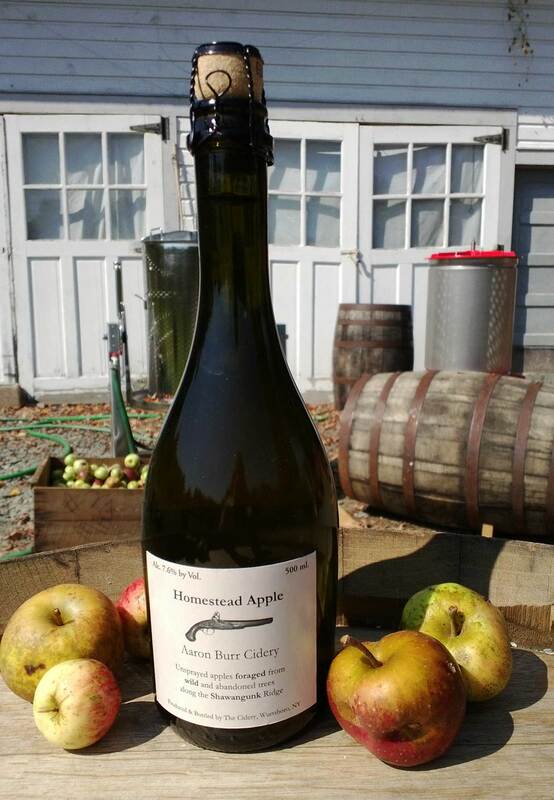 Aaron Burr Cidery was founded by And Brennan, a dedicated traditional cider-maker. The homestead is located in the Hudson Valley in Wurtsboro, New York. Aside from tending an estate cider orchard of 600 trees, he and his partner Polly make a range of ciders from locally foraged fruit. The nuances of ciders produced at this address are in part due to the factors of soil composition, growing environment of trees and human hand. Traditionally made cider in hill country New England and Appalachia is not a new thing and it did not go away with Prohibition. This region of the U.S. has been small farm apple country for 400 years, similar to wine in grapes of the Old World. With such a great culture for cider there naturally evolved various levels of artistry and sophistication, just like wine. These ciders are similar to natural wines but much more so, even. Unlike wine grape cultivation, these apple trees were never cloned and the soils were not manipulated to serve agriculture. The trees have assimilated to the real world. Andy chose these two ciders for the Oregon market due to their different profiles. Taconic is hazy and low acid in style, its finish is akin to Dry Riesling with a suggestion of sweet fruit, although it is technically bone-dry. Neversink Highlands calling card is its obvious balance of tannin and acid, a trait characterized by traditional American ciders. No sulfites are added to the bottle though naturally present in some apples, yeasts have been developed in-house and all fermentations occur between October and April, then bottled. The time before apple variety selection started leaning toward our Modern cultivars, those that lack the bitterness of traditional cider apples. The tapestry of soils along the Hudson Valley can be summarized as rocky, shallow and acidic. Cider making at Aaron Burr requires full focus, and the level of detail and devotion is all that separates them from the old tradition. But they are in the same vein. They offer a glimpse into the past. 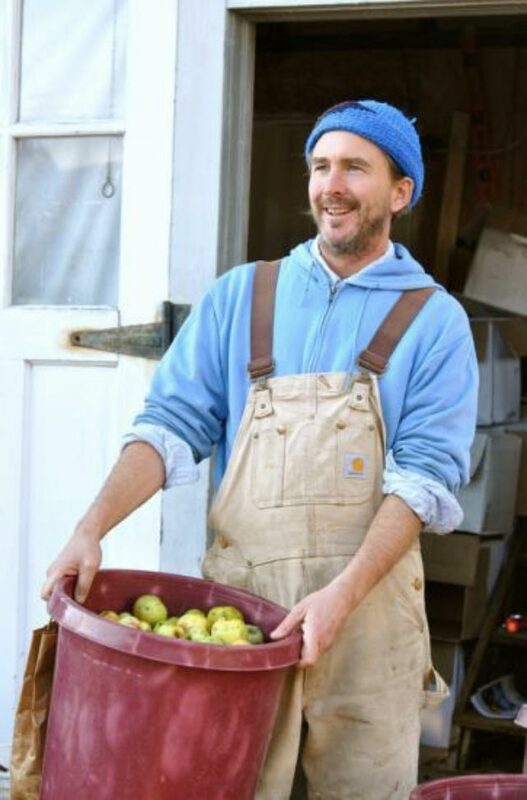 Andy firmly believes that recent popularity of industrialized cider has been unfortunate for traditional farm ciders in that they serve to confuse Modern people about what cider is and can be.